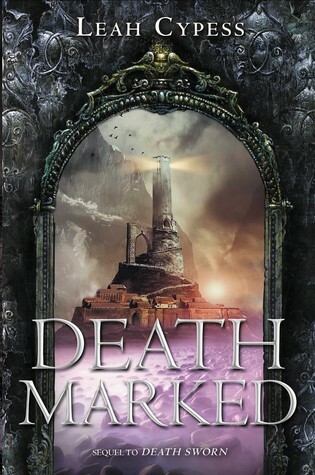 DEATH MARKED is the sequel to DEATH SWORN, and Leah Cypess is here to tell us about her journey. Leah, what was your inspiration for writing DEATH MARKED? All the first readers (including my editor) who loved Death Sworn and wanted to know when the sequel would be done. I started sending my first full-length book manuscript to editors when I was about 17. I collected rejections from pretty much every imprint in existence. Over the next five manuscripts, I slowly graduated from form rejections, to "not this one, but send us your next one" rejections, to personal regretful rejections explaining in length why this manuscript wasn't a good fit, to revision requests, to rejections that came from the acquisitions committee rather than the editor. Finally, a mere fifteen years after my first submission, I got an offer to publish Mistwood. I don't have much of a ritual -- I try to fit in writing whenever and wherever I can. Things go best when I'm outdoors; second best is if I'm in my favorite cafe/breakfast spot early in the morning. I don't listen to music when I write, though I do when I edit. A new fantasy duology and a stand-alone fantasy that's a little different from my usual fare (I like working on more than one thing at once). I'm super-excited about both of them, but I probably shouldn't talk about them until I find out if I can sell them! Leah Cypess wrote her first story in first grade. The narrator was an ice-cream cone in the process of being eaten. In fourth grade, she wrote her first book, about a girl who was shipwrecked on a desert island with her faithful and heroic dog (a rip-off of both The Black Stallion and all the Lassie movies). After selling her first story while in high school, she gave in to her mother's importuning to be practical and majored in biology at Brooklyn College. She then went to Columbia Law School and practiced law for almost two years. She kept writing and submitting in her spare time, and finally, a mere 15 years after her first short story acceptance, she sold her first novel. Leah currently lives in Brookline, Massachusetts with her husband and children.